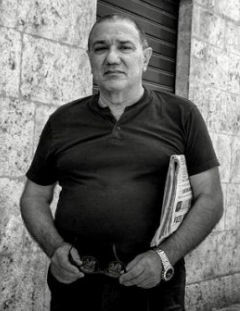 Born in Caltanissetta, Cino formed at the Centro Sperimentale di Cinematografia in Rome, graduating in 1970. The same year he started as intense activity as documentarist and as assistant director, notably collaborating with Roberto Rossellini, Vittorio De Sica and Steno. He debuted as a director with the experimental drama “Il cavaliere, la morte e il diavolo”, which he also wrote and produced. He is a director and assistant director, known for “The House of the Blue Shadows” (1986), “Quell'estate felice” (2007) and “Breath of Life” (1990). 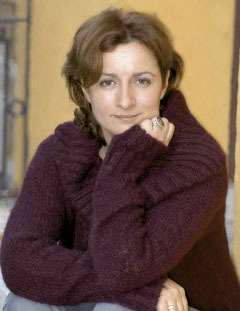 Carla Ronga, Journalist, graduated in Political Science and specialized in International Relations, signed as coauthor the programs of the Third RAI Network “ C’era una volta” and “Dagli Appennini alle Ande”, geopolitical programs promoted under the auspices of the United Nations and numerous Italian non-governmental organizations. Since 2002 she started her collaboration with the monthly newspaper "Aprile" and it’s daily online edition, and then took over the journalistic and editorial directorships from June 2006. Since January 2013 she has returned, as freelance, to the production of video reports inspired by the theme of rights and sustainability, not only in the sense of energy saving and clean environment, but as a human and historical value. Because it is the approach of human development (the local actions we make in our community here and now are relevant), the one best suited to keep quality life together and extending rights, making the global responsibility to the local one. She has recently produced two documentaries for the “Planet E” television program of Germany's ZDF television. Armağan Pekkaya is born in Ankara in 1980. He received his degree from Ankara University Communication Faculty, Radio-Television and Cinema Department. He has produced many independent projects. Films were shown at national and international festivals and received various awards. 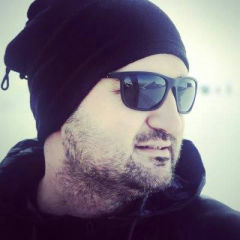 Currently he is working as a producer at the Turkish Red Crescent Media Bureau, Armağan Pekkaya also continues his independent film and documentary work. His film “Mustesfa” won the “Best Red Cross and Red Crescent Film Award” for films depicting the activities of the National Societies, at the 16th International Festival of Red Cross and Health Films in Varna, Bulgaria. Assoc. 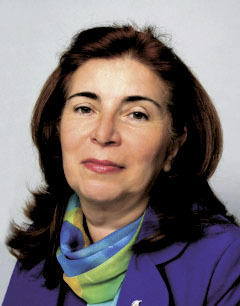 Prof. Emanuela Mutafova is a Doctor of Economics and a long-time lecturer in Health Economics and Medical Statistics at the Medical University - Varna. Since 2012 she is Dean of the Faculty of Public Health at the Medical University "Prof. P. Stoyanov" - Varna. She has specialized in the study of operations and statistical methods in health care, health economics and hospital management in Bulgaria and in a number of prestigious universities in the Netherlands, Spain, the United Kingdom and Switzerland. Author of more than 100 publications. Leader and participant in more than 30 international, national and regional educational, research and cultural projects. Yana Marinova is a Bulgarian actress. She completed her studies in Acting, Script Development and Producing at the prestigious Lee Strasberg Theater & Film Institute LA, USA. Presently, she is about to obtain her MA in Theatre at the New Bulgarian University. She has played lead characters in very popular Bulgarian TV shows such as Glass Home, The Family, Liaisons, etc., and various roles in the features Labyrinths of Love (Russia); Living Legends (Bulgaria); Sniper: Legacy (USA), etc. Winner of the Best Leading Actress Award at International Motivation Film Festival in Rostov-on-Don for her role in 11 A. She has just completed her feature Attraction (screenwriter/ co-producer) starring some of the top Bulgarian film actors. Member of the Jury of the 35th edition of “Golden Rose” Bulgarian feature film festival. Professor Dr. Temelko Temelkov is a Surgeon and Candidate of Medical Sciences. Born in Varna, Bulgaria. Graduate of the Medical University in Sofia. 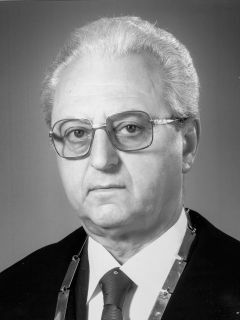 Rector of the Medical University - Varna from 1999 to 2004. Professor Temelkov has 260 scientific publications, 2 monographs, 2 textbooks, 2 inventions and 5 rationalizations. He is working also as editor of a number of specialized magazines. Member of the Union of Scientists in Bulgaria and Honorary Member of the Bulgarian Doctors' Union. For his activities in the city of Varna, Bulgaria he is awarded the prize of Varna, "Doctor of the Year" and "Doctor of Bulgaria".